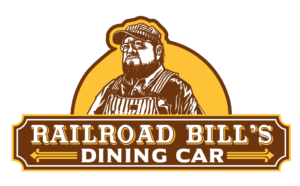 Railroad Bill's food truck is an extension of Railroad Bill's Dining Car's brick and mortar location at 621 Des Moines Street. Our food truck began in August 2018 and is the newest Raccoon Forks microbusiness. Like the diner, our food truck menu is a time-honored type breakfast and lunch diner with contemporary touches. Unlike the diner, our food truck has wheels! Our food truck offers a classic diner breakfast and lunch menu, accentuated by innovative vegetarian and vegan dishes. Along with selections from our diner's menu, our food truck proudly serves menu items from our sister restaurants — sandwiches from Plain Talk Books & Coffee, fresh pastries from Brick Street Bakery, and fresh roasted coffee from Raccoon Forks Foods. You can find our food truck around downtown Des Moines and the East Village over the lunch hour during the work week, and select events throughout the Metro. 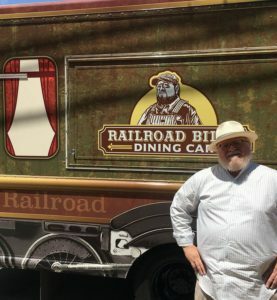 As a Raccoon Forks business, Railroad Bill's food truck provides job opportunities to individuals with disabilities and other barriers to employment. Railroad Bill's employees receive one-on-one job coaching and the support they need to build skills and be successful on the job.